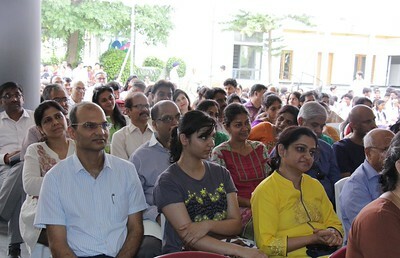 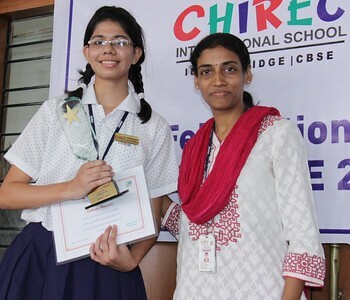 Tanvi Modi highest in Physics (95%). 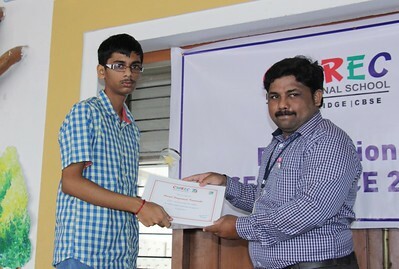 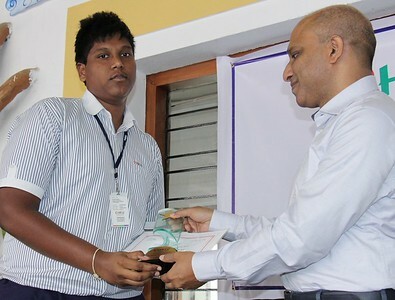 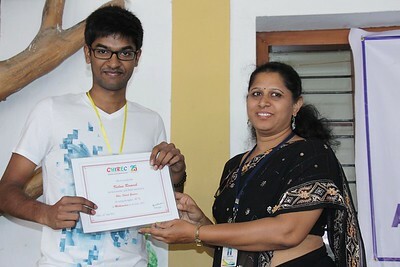 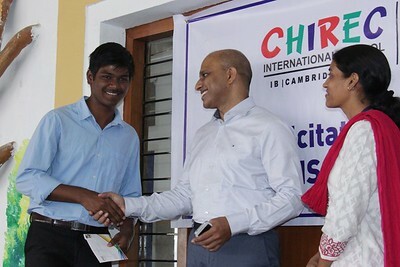 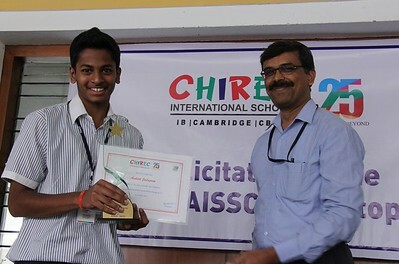 Vishnu Ramesh highest in Mathematics (95%). 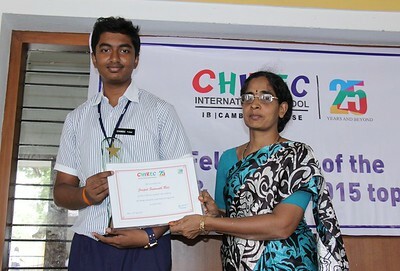 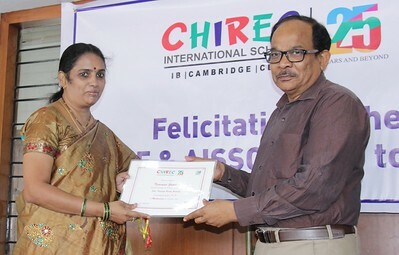 Our Administrative Staff Ms. Kalpana received the scholarship on behalf of her son for securing highest percentage in Grade X. 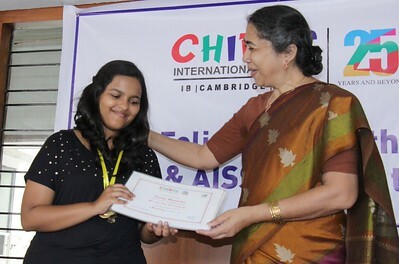 Mother of Tejaswini Gotiipati highest in Chemistry (95%), Mathematics (95%) and Physics (95%). 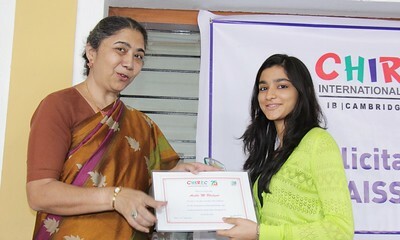 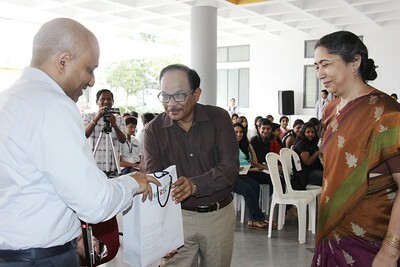 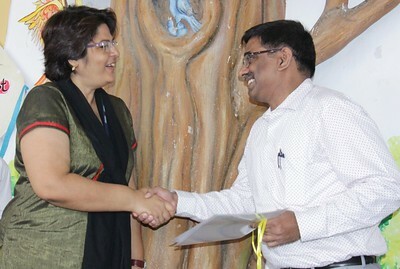 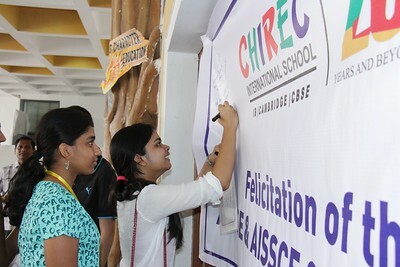 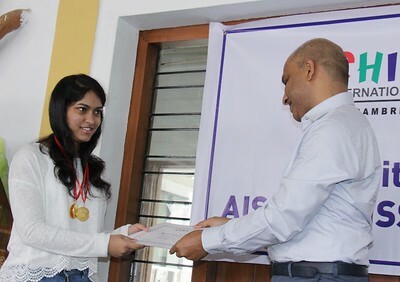 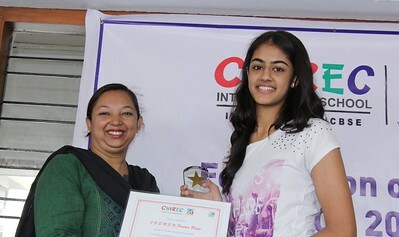 Smriti Saroagi highest in Fashion Studies (100%). 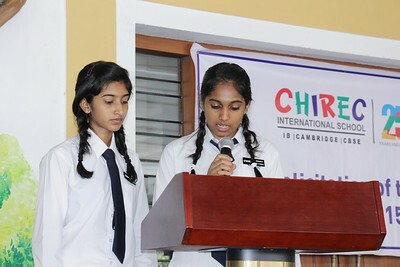 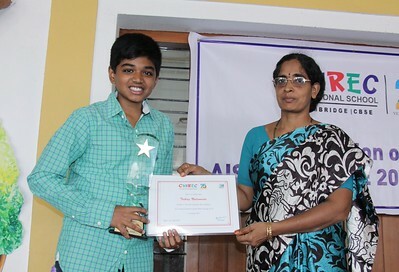 Sai Bavana Ampajalam highest in Biology (99%). 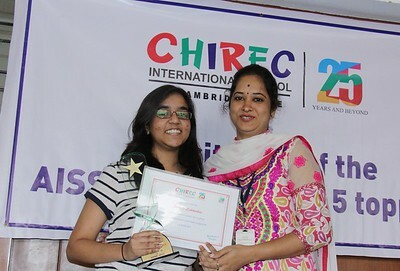 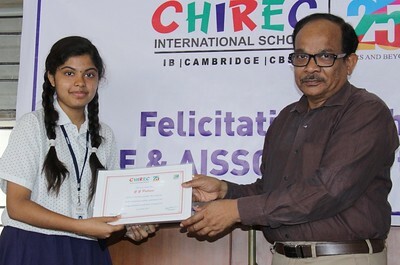 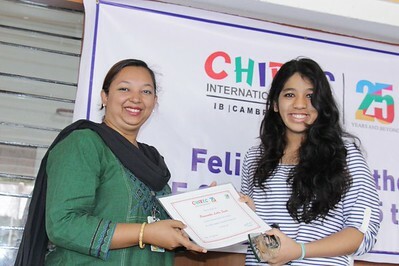 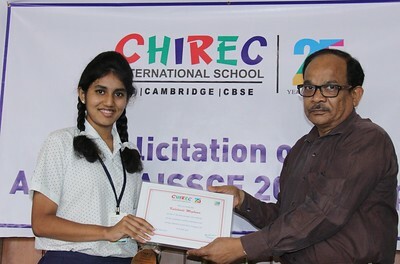 Our Administrative Staff Ms. Saraswati son Susheel received the scholarship for securing highest percentage in Grade X.
Ananya Mahapatra highest in Physics (95%), Chemistry (95%) and Mathematics (95%). 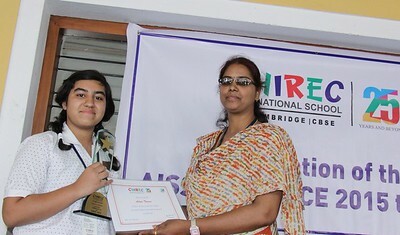 Priyanka Vemisetty highest in Fashion Studies (100%). 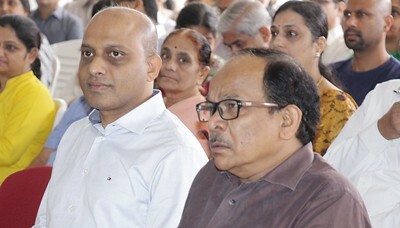 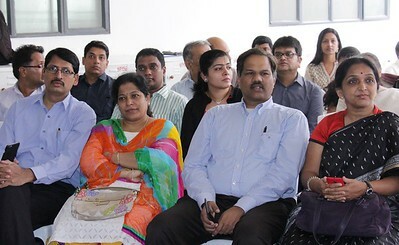 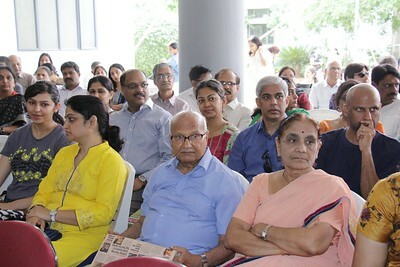 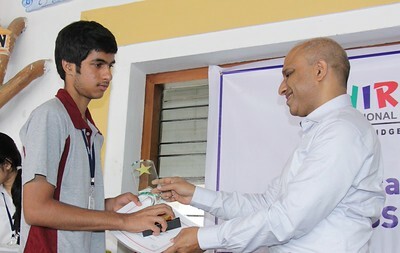 Father of Parth Badruka highest in Accounts (98%). 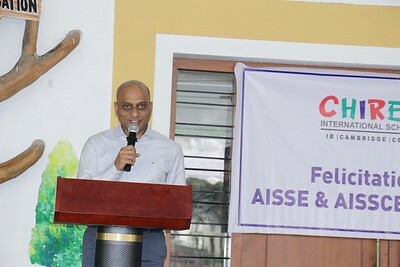 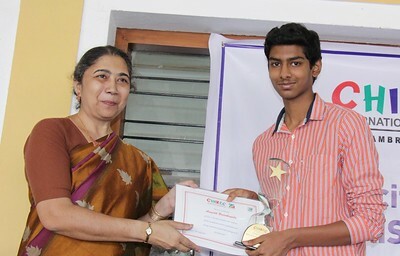 Father of Vignesh Karthikeyan highest in IP (100%), Mathematics (95%). 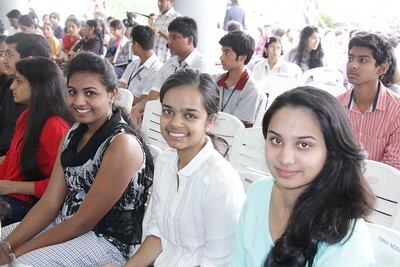 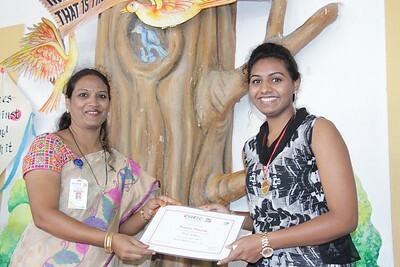 Rudraaju Hariika highest in Fashion Studies (100%). 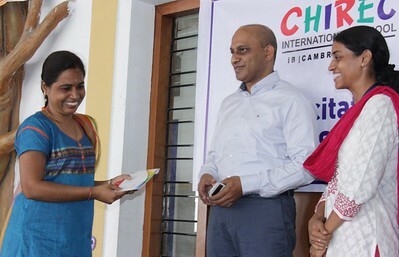 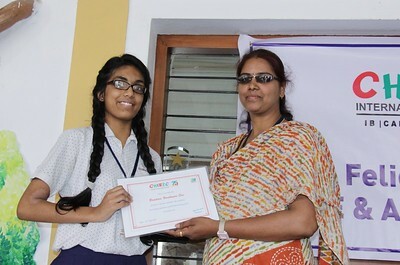 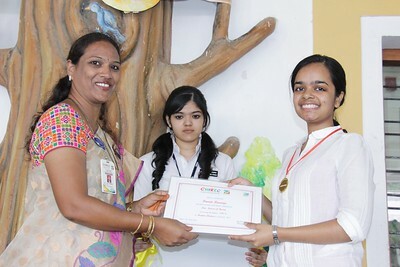 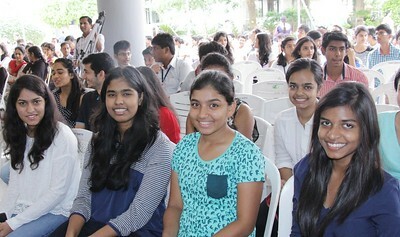 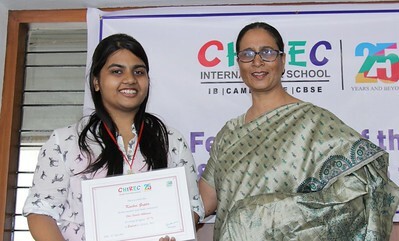 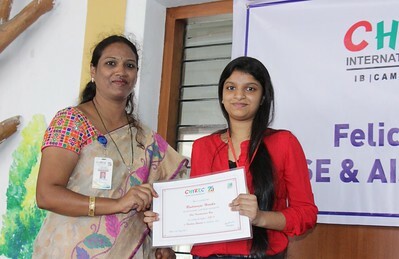 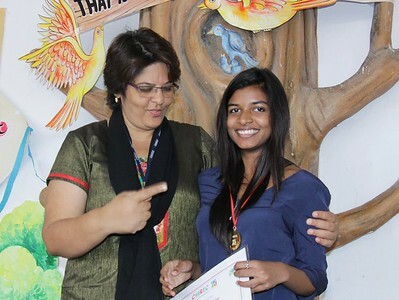 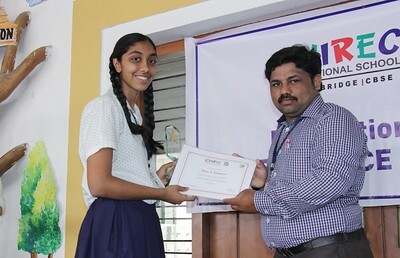 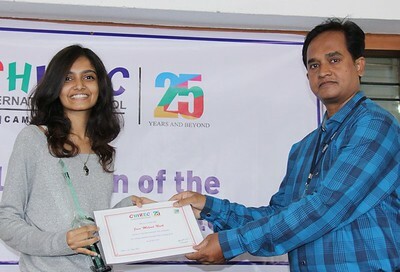 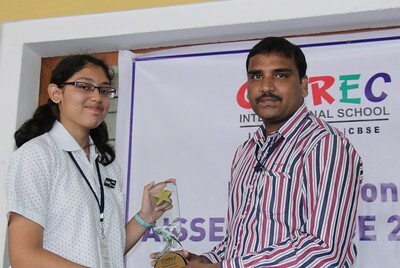 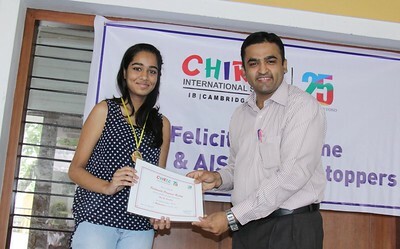 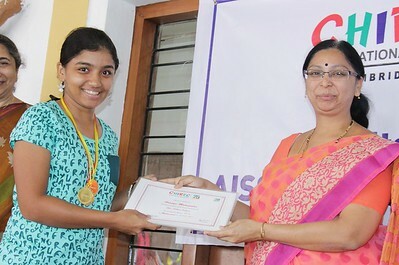 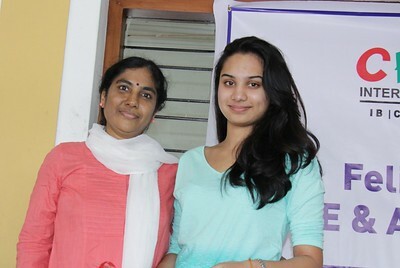 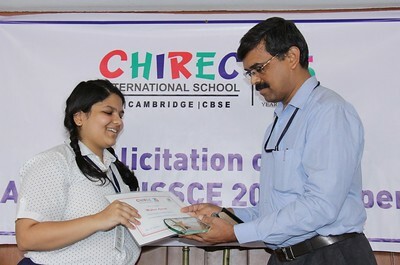 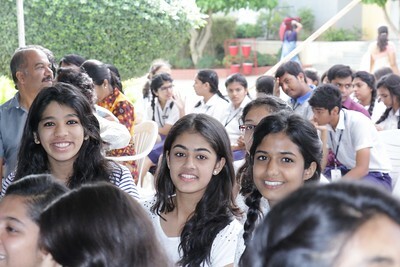 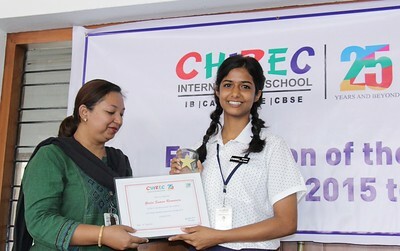 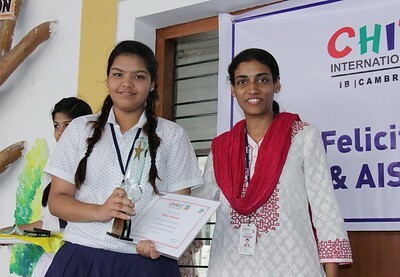 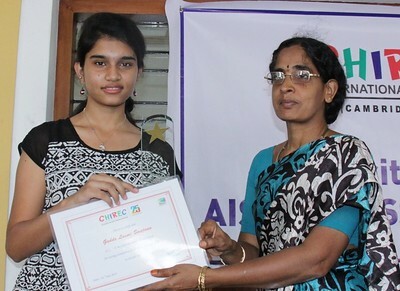 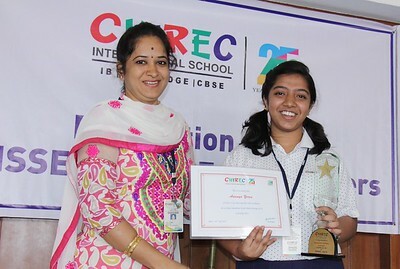 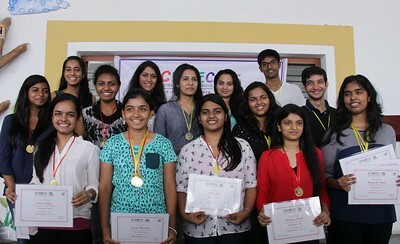 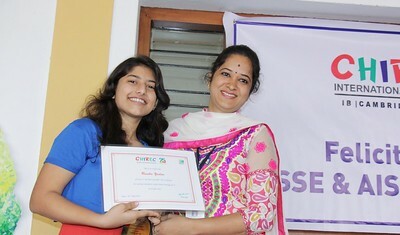 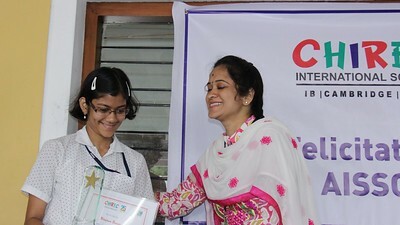 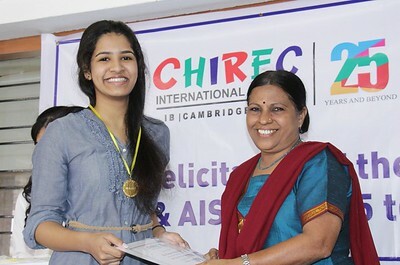 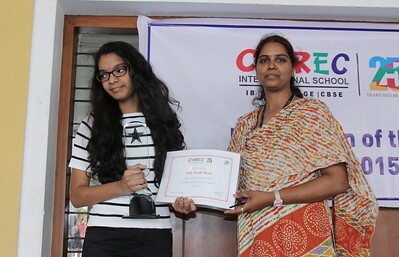 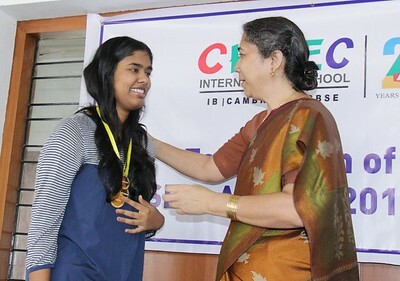 Pranavee Reddy highest in Mathematics (95%). 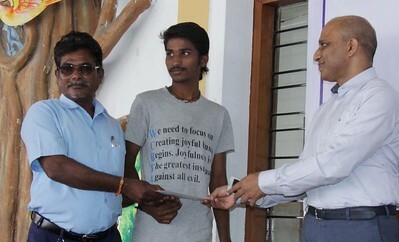 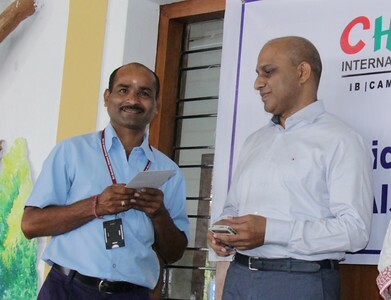 Our Driver Mr. P. Sanjeev received the scholarship on behalf of his son for securing highest percentage in Grade X.
Vajra Rammohan highest in Business Studies (97%). 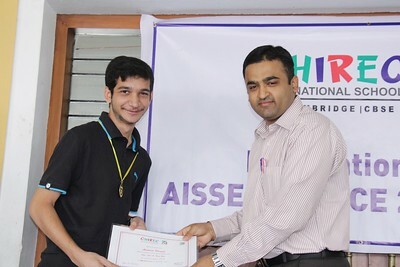 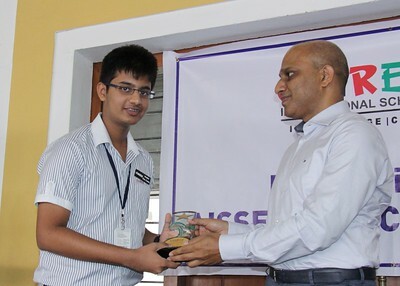 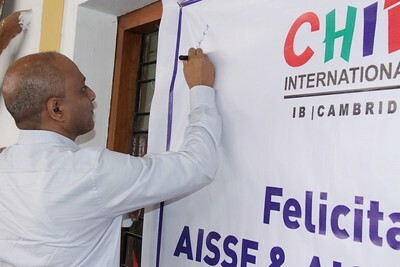 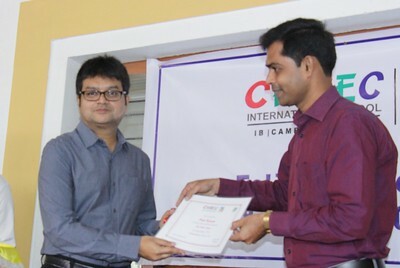 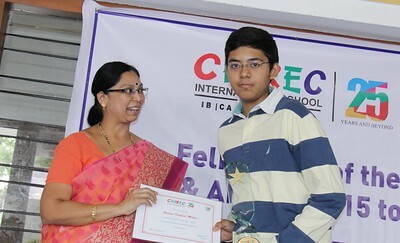 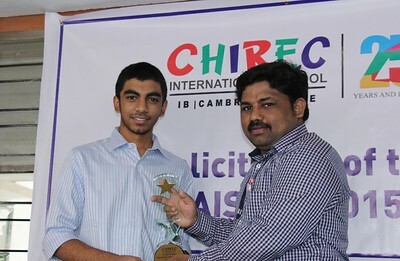 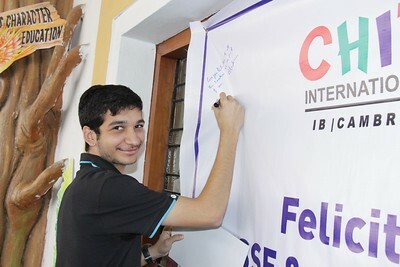 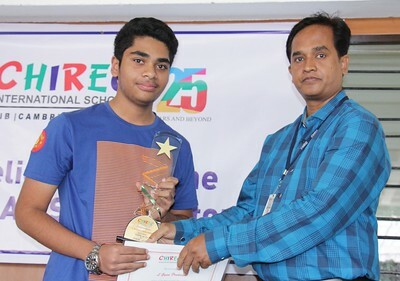 Avidhant Bhagat highest in Mathematics (95%). 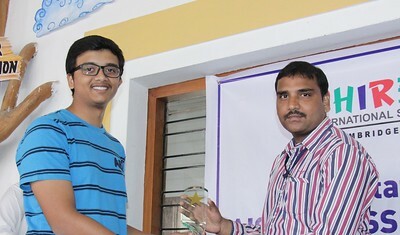 Our Driver Mr. B. Babu Rao along with his son B. Akash received the scholarship for securing highest percentage in Grade X.